I found myself writing a comment for Magic the Gathering and I kicked on a major rant about games publishers exploitative business practices. Having vented I thought that I would share and see what gets everyone else ticked off about boardgames. Remember were not here to defend our position just to get it off our chests. In retrospect the money I spent on this CCG would have been better spent just about any where else. The CCG model can be seen as exploitative (board game crack for the gaming addict - that definitely incudes me) and can lead to pay to win mentality. Its wasteful (boxes of unwanted cards) and after a while insulting (anyone up for a puse deck to go with the red, white, black, green and blue decks also what cards for a ninja snail deck to go with your robot dwarf deck) just so they can carry on taking your money. 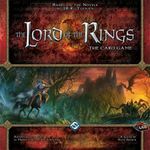 CCG and other collectible systems tarnish a company's long term reputation (I think less of them) and as a business model does not encourage a company to be lean, efficient or inovative (why cut overheads and offer value if the suckers keep spending their money on the same old product). A company can end up fixated on exploiting an ever diminishing core clientele and can use up all the customer good will which most hobby companys accumulate effortlessly. I am a fully paid up member of the adult world and can usually make good decisions about spending my money etc and I would say most gamers are the same. At the same time they know what they are doing by engaging our collectors compulsion. Exploitation diminishes everyone involved. What appears initially to be a perfect business model can cause a customer to fully disengage from a product line, a company or the whole hobby. I would ask a company when they are releasing yet more content to sure that it represents value for money, offers something genuinely new and above all will not make the customer feel foolish for spend their time on money on your product. The DNA of this CCG model can be seen in miniture games that keep changing the rules, army sizes etc in hope that they can essentially keep selling you the same product over and over again. This often means that older players become disenfranchised (due to the incompatibility of their existing investment in the game) and they depend on fresh batches of youngsters to exploit. I would also argue that role playing games on the 3, 4 and 5th editions are probably exploiting their customers (depending on how compatible older adventures are). It could also be argued that wargame companys release many products that have barely been played tested to an aging audience that can no longer find the time to play them. There is a trend towards quicker and simpler games that I think needs to be focused on if wargamers and the companys that service them have a future. This hobby has never been mass participation in the UK and never will be if they keep selling product that realistically will remain unplayed. Exploitation of customers can ultimately be self distructive. I have failed to buy some FFG products since I fully expect that after buying the initial game along will come additional content, additional minitures etc and finally an incompatible second edition (although they do often produce a conversion kit). 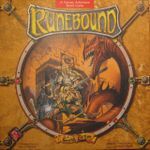 I know I will often complete a set of games in a compulsive manner, this piece of self knowledge has made me stay clear of FFG products that I am not sure I would like Runebound. The CCG DNA is just below the surface of LCG games and cynical core set games with limited content hoping to sell you more product later. I would, however, argue that they are usually a lot less wasteful and you can often work out how much money they will cost you by looking at the release schedule.